Meredith Springfield tackles intricate design challenge to deliver the innovative EZ Funnel. 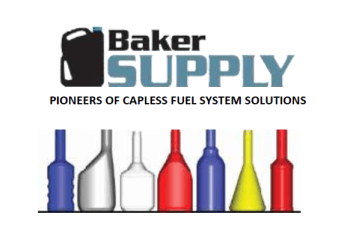 Product provides solution to re-fueling new Capless Fuel Systems. Meredith-Springfield, New England's premier blow-molded products manufacturer, has released a Case Study outlining its design and manufacturing solution for the revolutionary EZ Funnel. When Ed Baker was looking for a manufacturing and design partner for his innovative solution for delivering fuel additives to Capless Fuel systems, he reached out to Meredith-Springfield. Baker Supply was established in 2004 to provide packaging and design service solutions for the automotive industry. The most recent iteration of that service is the development of EZ Funnel. "This was one of the more difficult projects we have undertaken and there were a lot of moving parts," said Baker. "We have had projects with Meredith-Springfield in the past and I consider Mel O'Leary to be something of plastic bottle scientist." Complete details of the Case Study are available through www.meredithspringfield.com.